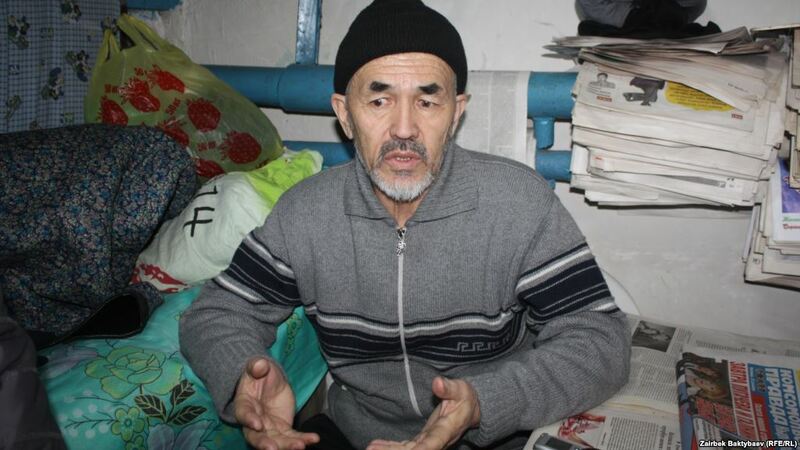 Human Rights Watch, United Nations Committee has appealed for Kyrgyzstan to release a human rights activist, Azimjon Askarov. The UN Human Rights Committee published ruling on April 21, 2016. It underlines that Askarov, who is serving a life sentence, was arbitrarily arrested, held in cruel conditions, tortured, and also mistreated without compensation and was not given a fair court process. 64-years old Askarov during many years was the head of local human rights organization “Vozduh” on the south part of Kyrgyzstan. It registered prison conditions and police treatment of prisoners.Ascarov recorded violence and robbery in Bazar-Korgon during an ongoing violence in southern Kyrgyzstan in June 2010. The same month he was arrested and accused in“organizing mass violations” and “inciting interethnic hatred” which lead to the killing of a police officer in Bazar-Korgon. In September,after court process he was found guilty and sentenced him to life imprisonment. According to the Human Rights Watch organization, his conviction was kept on appeal, despite his trustworthy allegations of ill-treatment and torture, as well as attacks on his lawyer and hostility and violence in the courtroom that exploded his right to a fair trial. Since Askarov’s arrest, local and international lawyers have expressed significant concern about the process of the investigation and court.However, authorities of Kyrgyzstan did not allow independent investigation of his case. In November 2012, Askarov’s lawyer,Nurbek Toktokunov and the Open Society Justice Initiative applied a complaint with the Human Rights Committee that several of Askarov’s rights under the International Covenant on Civil and Political Rights (ICCPR) had been disturbed. Kyrgyzstan is participant of treaty and has accepted the competence of committee that reviews agreement with the treaty, to define whether the government has violated the covenant, and to give valid remedy if the committee defines that a violation has happened. 31,March,2016 after detailed inspection of case and discussing it with Ascarov’s lawyer and the Kyrgyzstan government. The UN committee found that Askarov’s rights to a fair court process, to be treated with merit in detention, not to be put to ill-treatment or torture, and not to be arbitrarily detained had all been disturbed. It concluded that in order to provide Askarov with an effective remedy, Kyrgyzstan has to take appropriate measures to release Askarov immediately and quash his conviction. It also held that Kyrgyzstan has to provide Askarov, whose health has suffered in jail, with sufficient compensation, and if necessary could conduct a new trial subject to the principles of fair court process.